If you've been tuning in, you know the deal: Challenge! Two chords. Daily. Missed any days? Go here. Allons-y! Guitarists, there are a lot of ways to fret an A. You can follow the finger numbering above, you can use your index as a barre instead, etc. As mentioned earlier, it's already Day 12 of our challenge, and I have neglected to recommend that guitarists keep their guitars in tune. 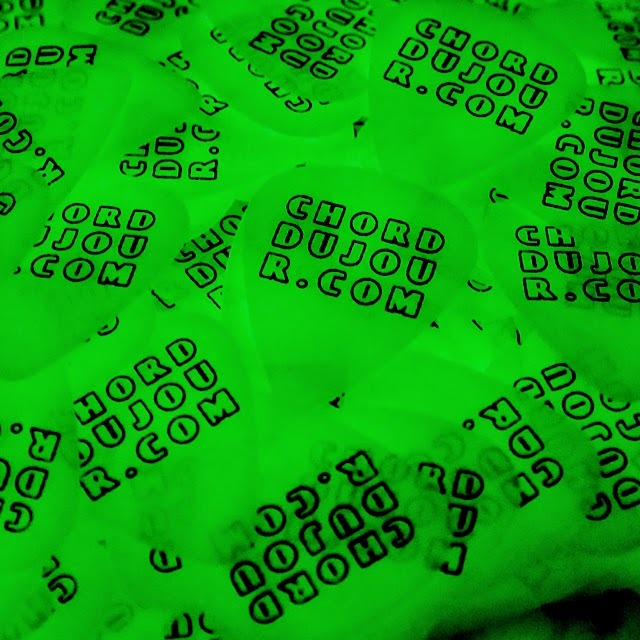 All of our chord maps are designed for standard tuning (from low to high: E A D G B E). The easiest way to keep your guitar in tune is with a guitar tuner. Yes, I'll take a paragraph to try to sell you a tuner, if you don't have one already. I've been using a Snark tuner for the past three years. It clips onto your guitar's headstock, and it picks up vibrations to identify the flatness or sharpness of a string. For about 17 years previously, I've used a Korg tuner that probably isn't widely available anymore, among other tuners. Guitar tuners are designed to help you get your guitar in relatively good tuning for as many keys as possible. If your guitar is perfectly in tune in one key, it'll be out of tune in pretty much all the other keys. It's the nature of our modern tuning standards, and it is basically when music turns into math. So I wouldn't worry much about that. Just get a tuner. Keyboardists, for you, this particular blog lesson is commercial-free. The A chord consists of the notes A, C#, and E. If you play an electronic keyboard, then the keyboard's computer will keep you relatively in tune (unless you use a setting that messes up your tuning, accidentally or intentionally). If you play an acoustic instrument, like a piano, you should hire a professional tuner from time to time, to keep all those piano strings relatively in tune with one another. Guitarists, take the Bdim chord and go up two frets. 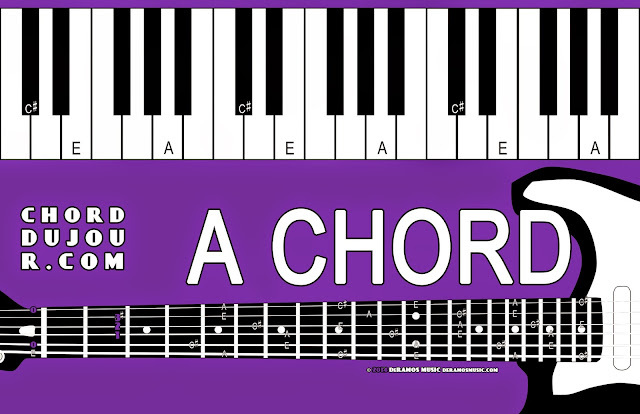 Welcome to the world of moveable chord shapes. The lowest note of the shape is oftentimes the root note of the chord you're playing. In this situation, it is a C# note. 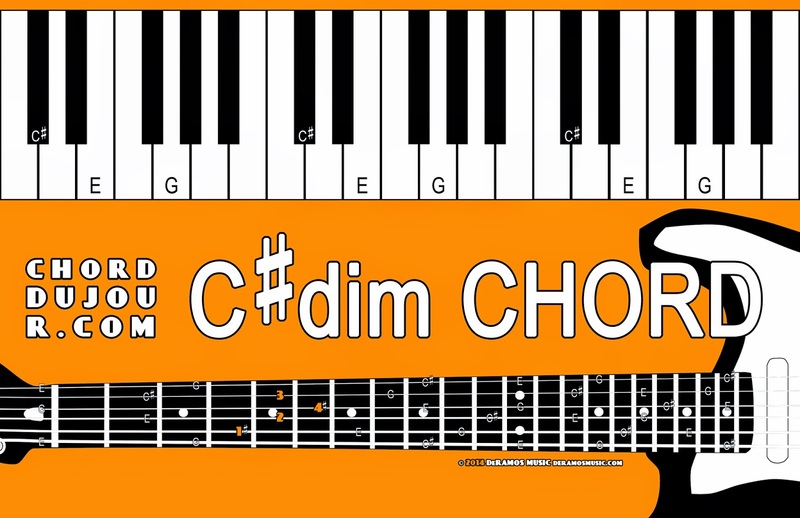 Since you're playing a diminished chord shape, you know that it is a C#dim chord. Keyboardists, C#-E-G spell the C#dim chord. 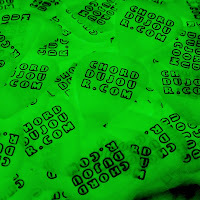 Next time, I'll try to figure out what accessories could be helpful for keyboard players, so stay tuned.